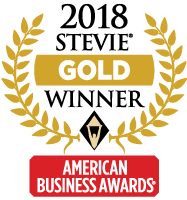 Charlottesville, VA – May 4, 2018 – Marketing Mojo was named the winner of the Gold Stevie® Award for Online Marketing Campaign of the Year, the Silver Stevie Award for Marketer of the Year and Online Marketing Campaign of the Year and the Bronze Stevie Award for Marketer of the Year and Marketing Agency of the Year in the 16th Annual American Business Awards on May 1. More than 3,700 nominations from organizations of all sizes and in virtually every industry were submitted this year for consideration in a wide range of categories, including Startup of the Year, Executive of the Year, Best New Product or Service of the Year, Marketing Campaign of the Year, Live Event of the Year, and App of the Year, among others. Marketing Mojo was nominated for five awards and won five awards in three categories. This is the kind of success story that shows the power of digital marketing done right. Focusing on optimization and results delivered exceptional results. Impressive metrics – great job on exceeding goals and expectations. Excellent approach in understanding market target-specific needs with exceptional mastery of digital strategies. Marketing Mojo is a full-service, data-driven online marketing and demand generation agency. Originally founded in 2005 as Search Mojo, Marketing Mojo has evolved its core services to adapt to the ever-changing needs and challenges of marketers – helping them to achieve their online marketing goals through search marketing, paid media, content marketing and marketing automation. With experience in a wide range of digital marketing disciplines, the Marketing Mojo team uses the latest information and techniques to help companies maximize the sales funnel and get the highest quality results based on their goals. For more information, visit Marketing Mojo at marketingmojo.com or read the Marketing Mojo blog.